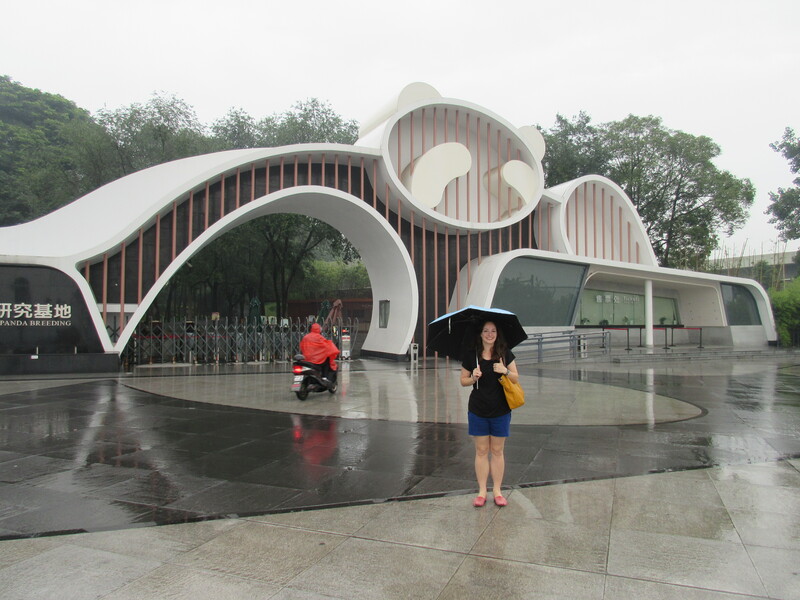 On our second day in Chengdu, we woke up at the crack of dawn, caught a cab, and headed out to the Chengdu Research Base of Giant Panda Breeding. As most of you already know, I love pandas. Like, I really, really love pandas. 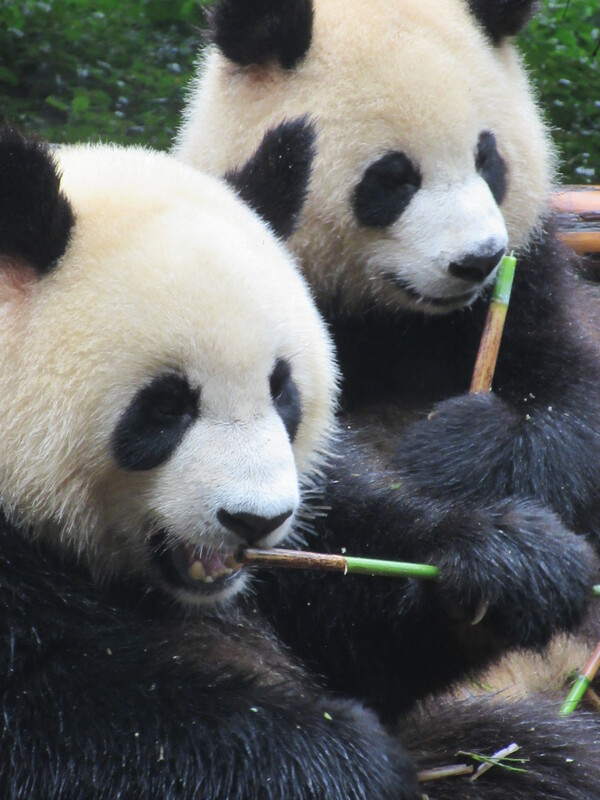 Some (*cough* my mom *cough*) have argued that the only reason I went to China was to see pandas and while that’s not TOTALLY incorrect, it was a huge draw for me. 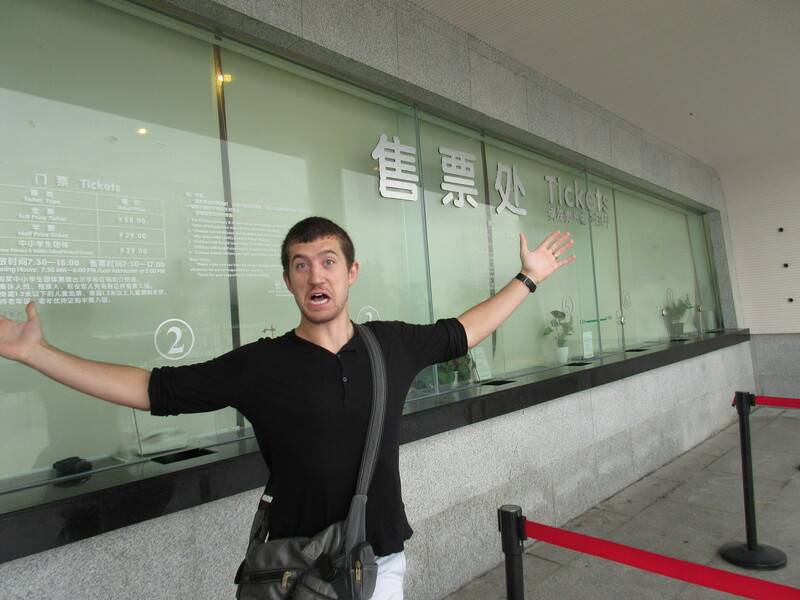 This research base in particular is home to the largest number of pandas in the entire world, so I had to go. Now, I heard that the best time to go was early in the morning when they’re just waking up to be fed so I dragged Spenser out there even before the ticket windows opened (around 7:00 am). Luckily, this is China and that phrase doesn’t mean much when you and your sleepy fiance are two of only three tourists in the entire park at that moment. We waited (Spenser was fine, I was extremely impatient) until the main panda man said I could sign-up. 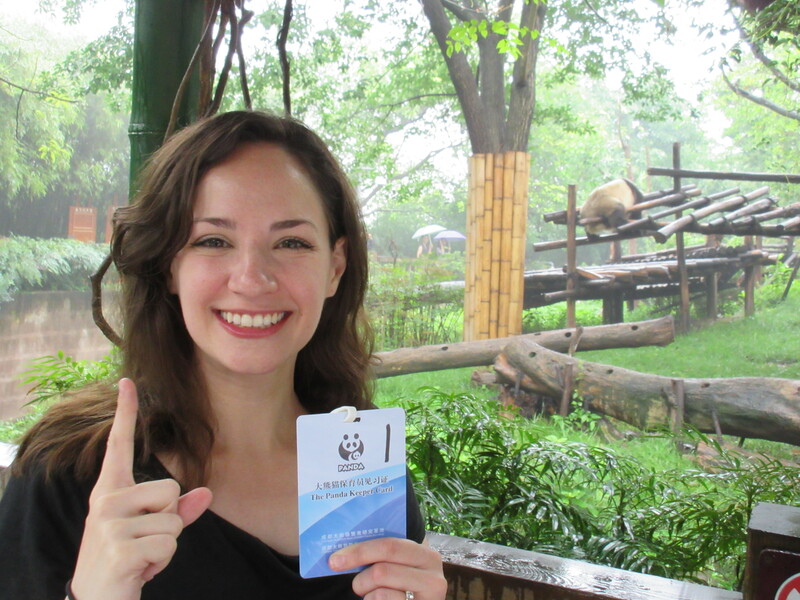 Of course, I actually had nothing to worry about because guess who was #1 in line to hold a panda that morning? Me. I was #1. It was great. So now it’s 7:45 in the morning on a rainy day and I couldn’t hold my panda until 9:30, so Spenser and I enjoyed the best morning ever at the panda park. While big, fat pandas are my spirit animal, we’ve discovered that red pandas are Spenser’s spirit animal. So lazy, he has to lie down to eat. Finally, after what felt like forever, it was time. Well, almost time. They lined us up (I was at the front because I was number freaking 1!) and we went through a panda orientation. What does one learn during a panda orientation? You learn that pandas should totally be extinct because everything is working against them in the natural world: they hear a noise and immediately run away. If they give birth to twins, they will abandon the weakest one because the mother can only carry one baby in its mouth at a time. Baby pandas can’t poop by themselves or they die. They’re so lazy, they don’t want to mate, which equals fewer pandas. Although they’re herbivores, their digestive system hasn’t evolved from their days as carnivores, so they don’t get as much nutrition from their food as they should because it moves through their systems so quickly! On the plus side, I learned that their poop doesn’t smell because it’s not in their intestines long enough so…the more you know, I guess. 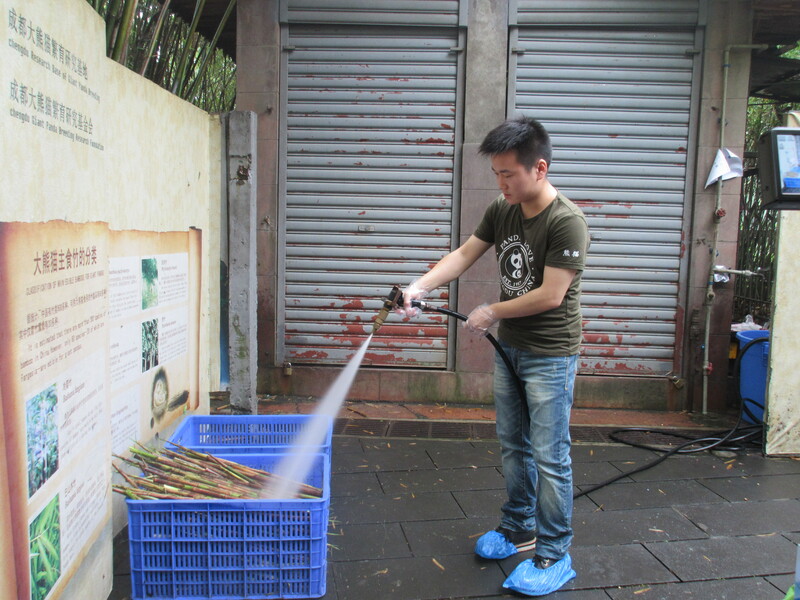 The panda man was informative, but I had no idea that pandas were that unfit to survive as a species. Good thing they’re adorable and people really like them. Immediately after this, I ran outside and hugged Spenser, who refused to pay the money to hold a panda so he had to wait outside (Editor’s Note: I’m an idiot, I really regret not doing this － Spenser). Allow me to take a moment to applaud Spenser on being such an amazing person that day (Editor’s Note: Yeah, I’m pretty selfless). I couldn’t sleep the night before and I have basically been talking about wanting to do this for over a year. Annoyingly talking about this, mind you. He was so patient and kind on what was probably one of my most hyperactive days ever (like I said, I really like pandas), and it means the world to me that he was so patient (and often told me to calm down so I don’t look like a crazy person). Thank you very much Spenser; you’re the best travel partner ever. With that said though, I was EXHAUSTED by the time we left (around 11:00 am) and we went back to the hotel for a very long nap. In my opinion, it was the best day ever. 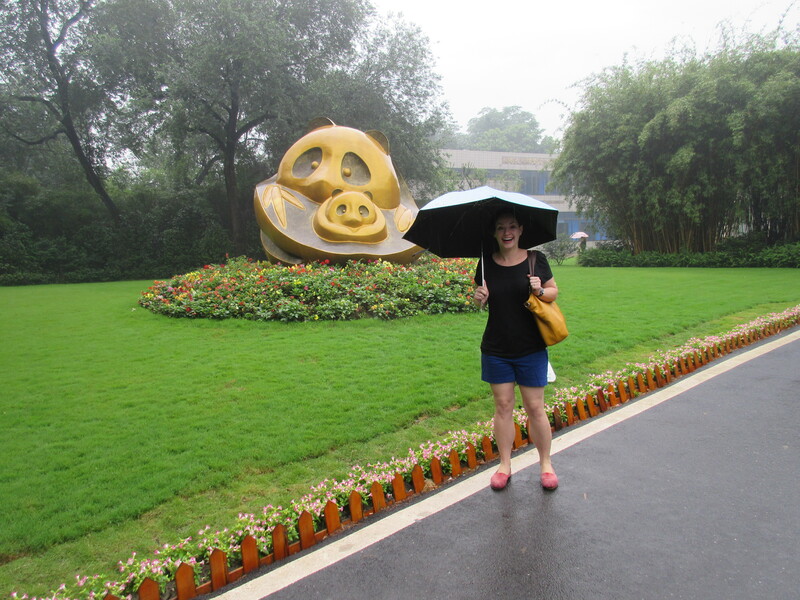 After a year in China, I finally held my panda and it was everything I dreamed it would be. Life complete now. Time to go home.